The MIC184 is a versatile digital thermal supervisor capable of measuring temperature using either its own internal sensor or an inexpensive external sensor. A 2-wire serial interface is provided to allow communication with either I2C or SMBus masters. This device is a pin-for-pin and software compatible upgrade for the industry standard LM75. Additional features include remote temperature measurement capability, and interrupt status and mask bits in the chip's configuration register for software polling. The open-drain interrupt output pin can be used as either an overtemperature alarm or thermostatic control signal. Three programmable address pins permit users to multidrop up to 8 devices along the 2-wire bus, allowing simple distributed temperature sensing networks. 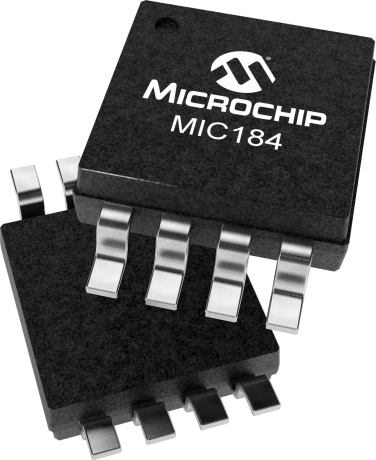 Superior performance, low power and small size makes the MIC184 an excellent choice for the most demanding thermal management applications.